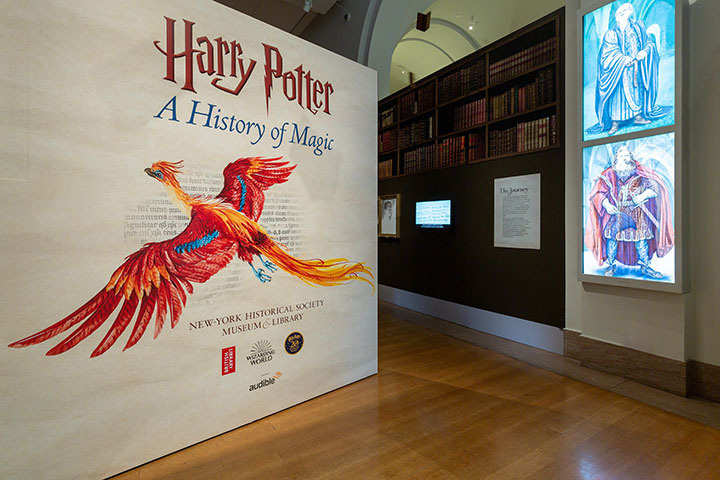 The New York Historical Society opens the large-scale exposition of "Harry Potter: A History of Magic" to celebrate the 20th anniversary of release of the first book in the series, Harry Potter and the Sorcerer’s Stone in the United States, in 1998. 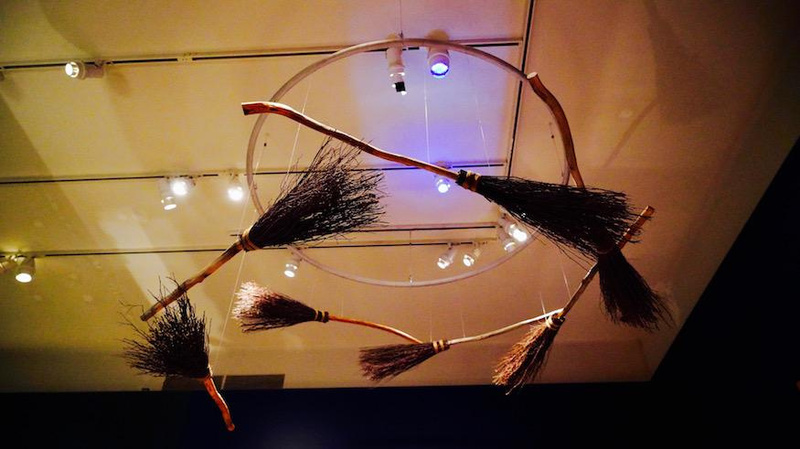 "Harry Potter: A History of Magic" became one of the most eagerly awaited museum shows of the year. 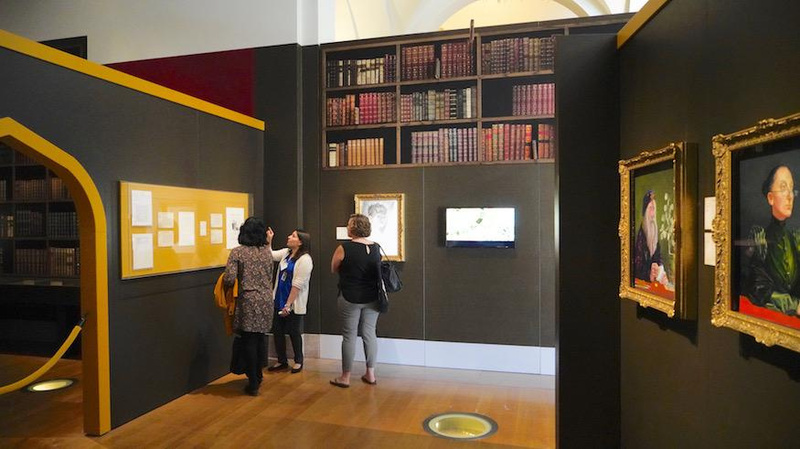 Last year this show debuted in the British Library in London and was the institution’s most visited show ever. 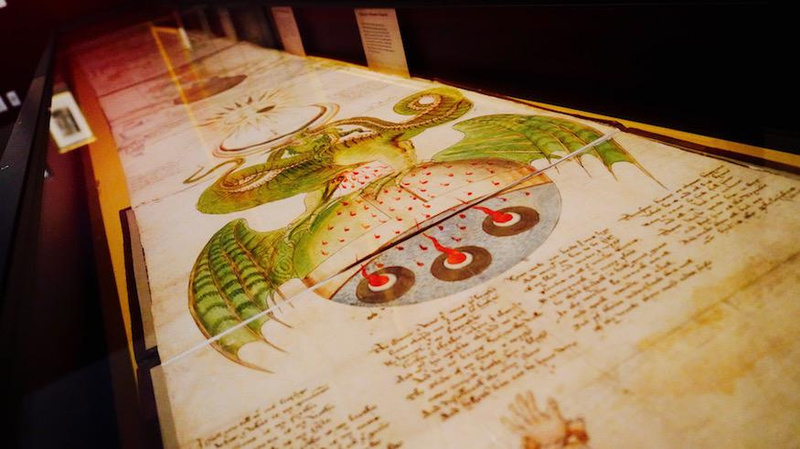 The British Library accompanied the festivities with a packed exhibition focusing on the traditions of folklore and magic at the heart of the stories. 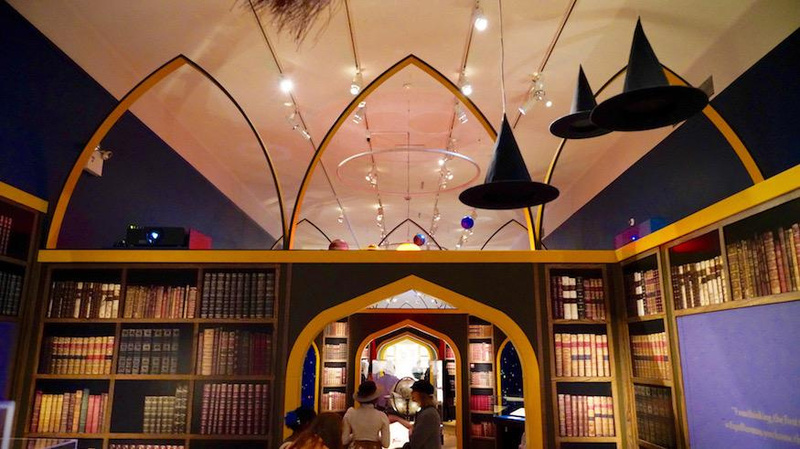 The exhibition brings literal magic to Manhattan and shows how real-life books and artefacts could create wizzarding world. 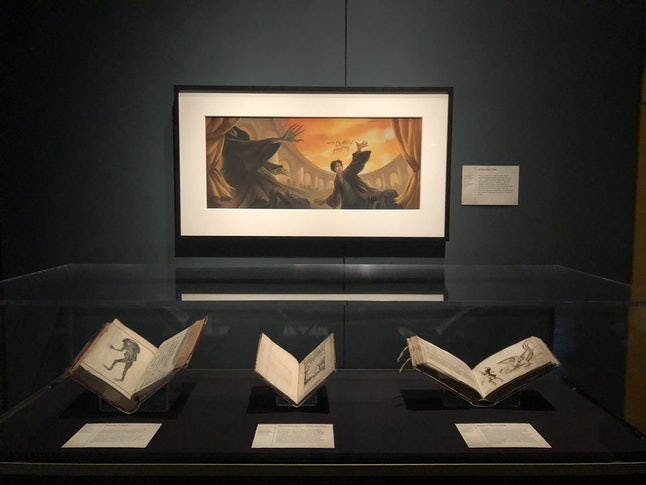 Visitors will be able to see rare Harry Potter documents and original illustrations from both the British and American versions of the series, including the author’s illustrations by Joanna Rowling that have never been shown to the public before. 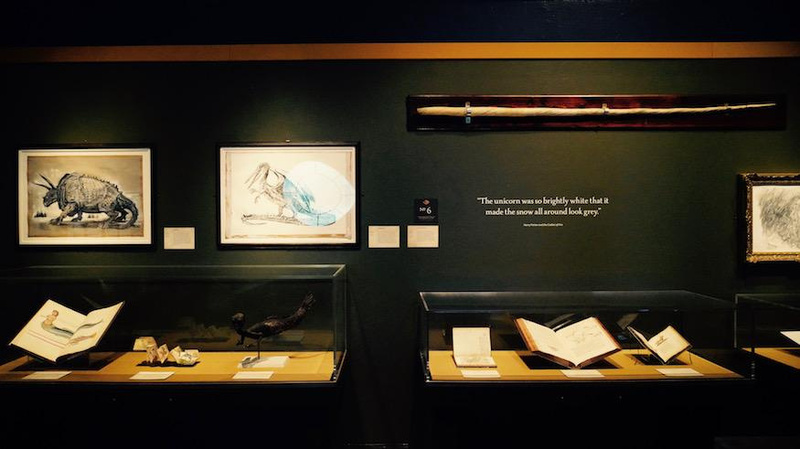 On view are fascinating real-world artefacts related to the subjects taught at Hogwarts School of Witchcraft and Wizardry, as well as items on loan from Scholastic and Bloomsbury, the publishers of the Harry Potter series, and from museums from around the world. 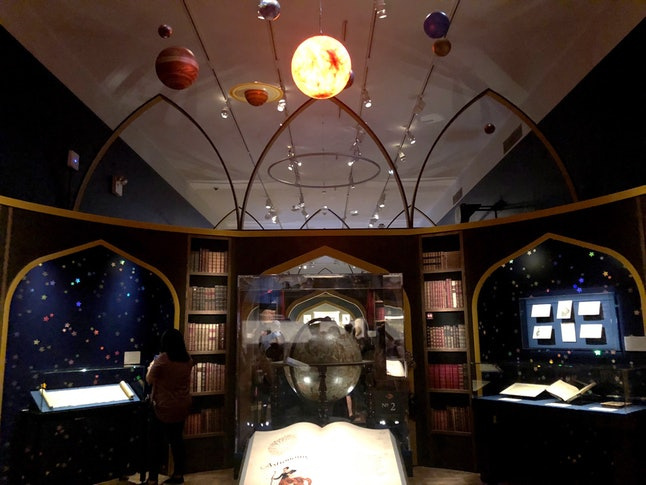 "Harry Potter: A History of Magic" is divided into sections, which mimic the classes of Hogwarts: Charms, Potions, Astronomy, Care and Keeping of Magical Animals, Defense Against the Dark Arts, etc. 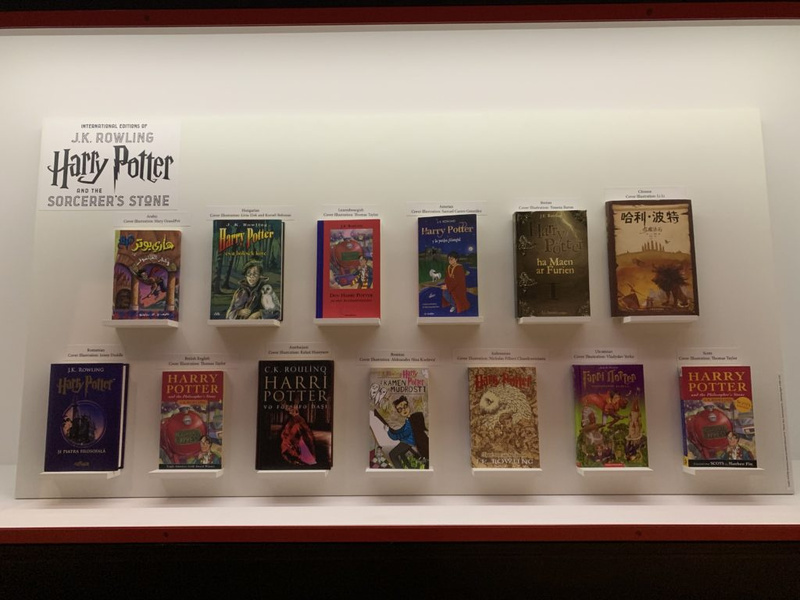 Each of these sections contains both J.K. Rowling’s creation process and a history of the magic that shaped her fictional world. 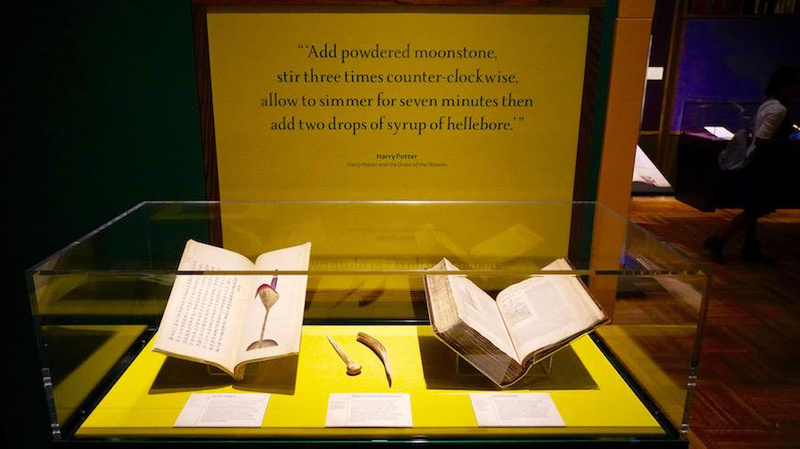 For instance, in the section on Potions, you can view historical texts that discussed potions classes long before Hogwarts was created. 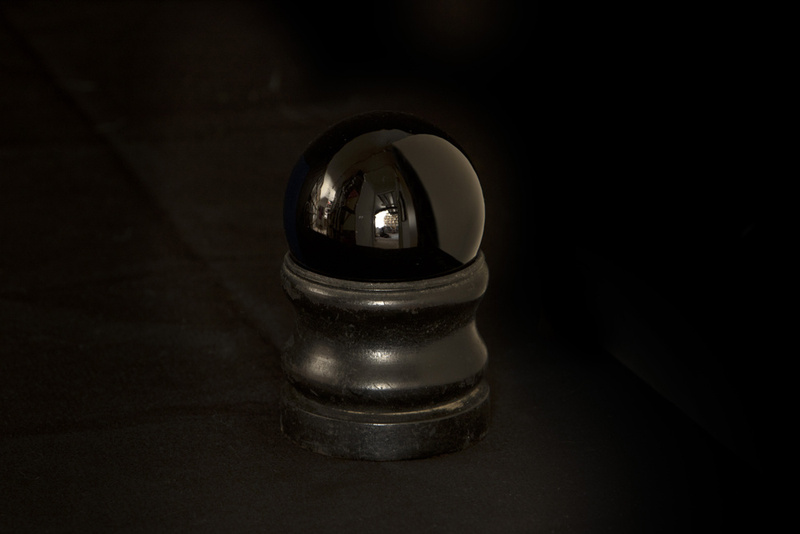 As you tour the space, you can examine crystal balls, read from ancient spell books, and play with special exhibits, like an interactive cauldron. It’s an enlightening, illuminating, and yes, magical exploration of the real-life history that inspired what is arguably the most beloved fantasy series of all time. 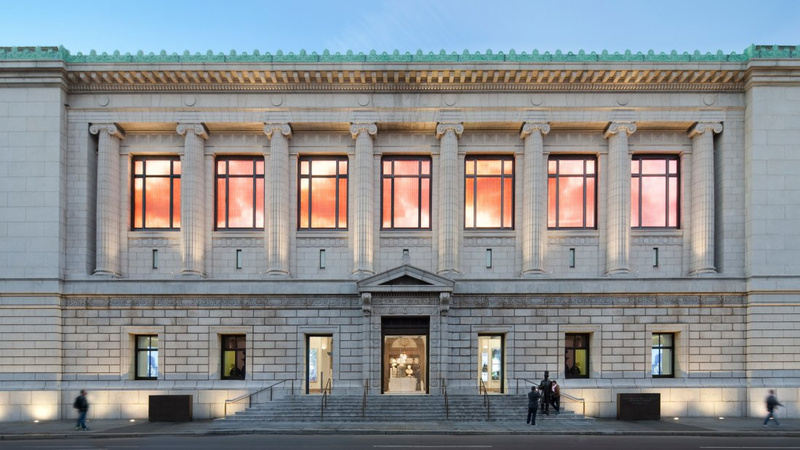 The New-York Historical Society. 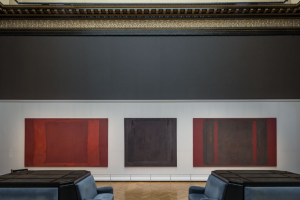 Photo credit: Jon Wallen. 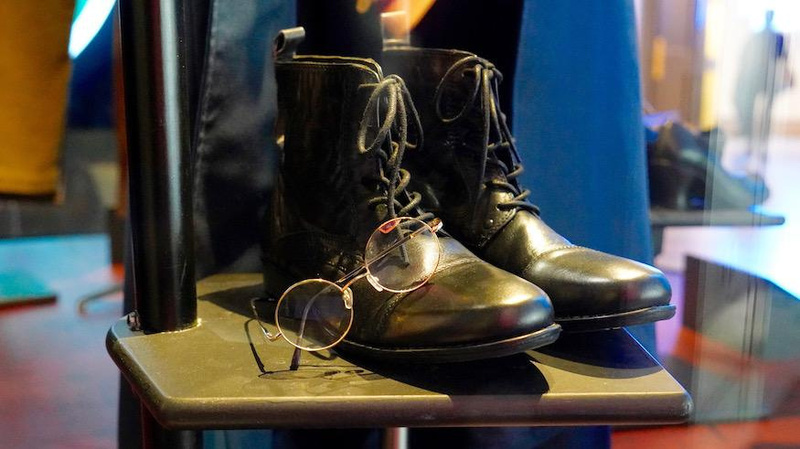 Despite that Rowling was an unknown writer, the books spawned mountains of merchandise, a Tony-winning Broadway play, Warner Brothers theme parks, and a film series starring Daniel Radcliff, plus the Fantastic Beasts and Where to Find Them spin-off movies. The books became an all-consuming obsession of teenagers of the 2000s. 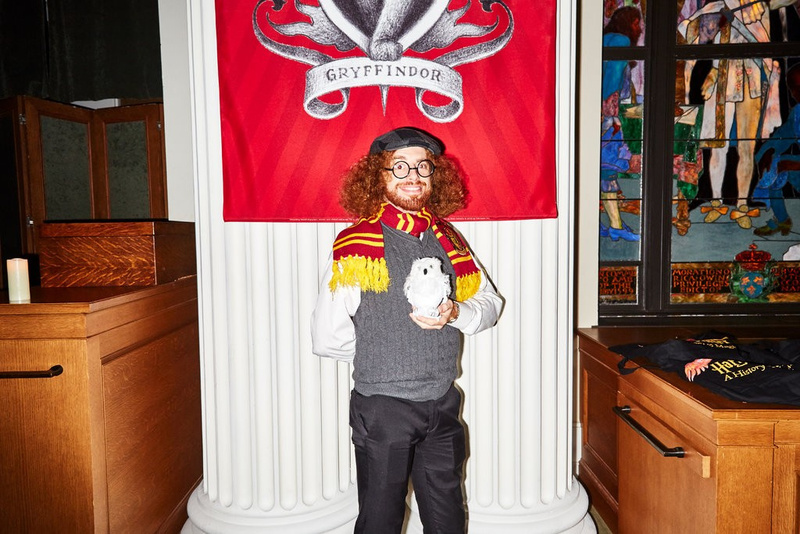 "Harry Potter: A History of Magic" show, New York, 2018. 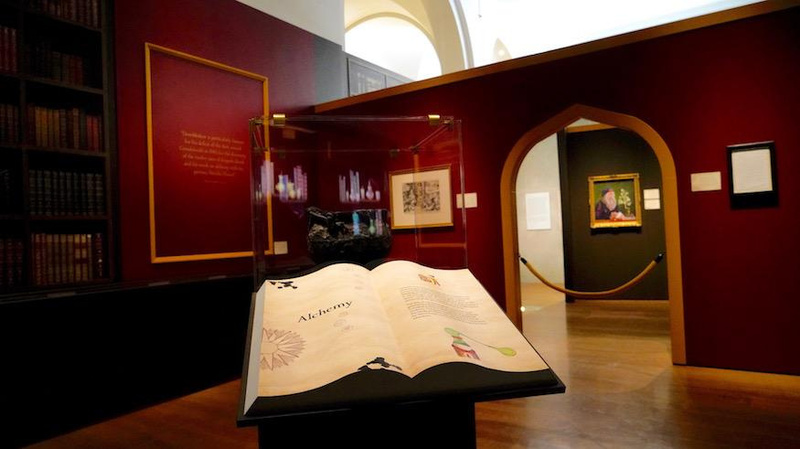 The exhibit features tons of rare documents, including original illustrations, outlines, notes, and manuscripts drawn and written by J.K. Rowling. 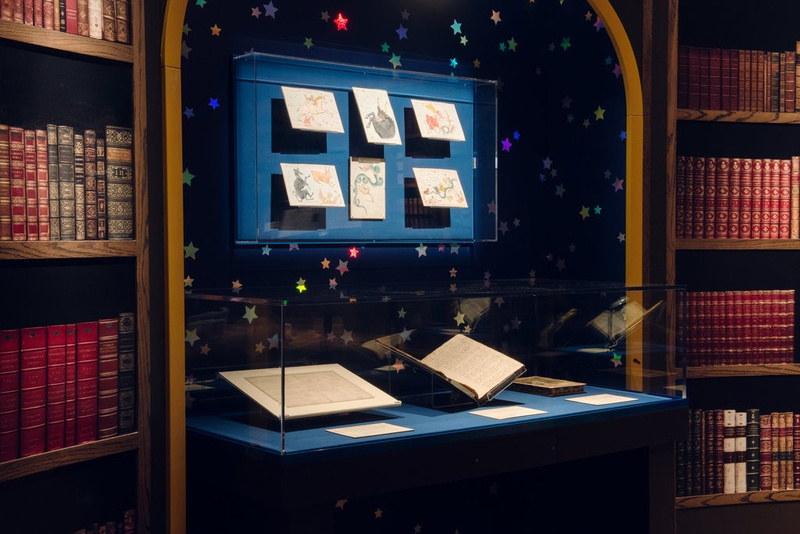 These include illustrations of Peeves the Poltergeist and a hand-written draft of the Sorting Hat song. 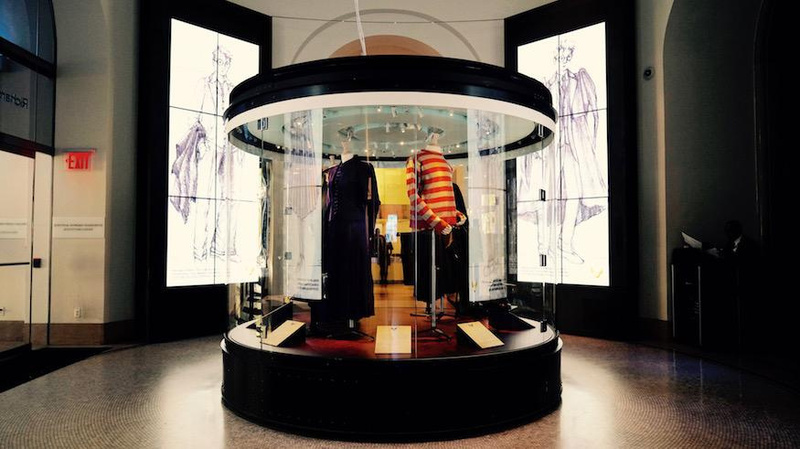 Unfortunately, photos of Rowling’s personal objects are not allowed, so you’ll have to visit the exhibit to see them. However, you can see (and take photos of) the many illustrations created by others. 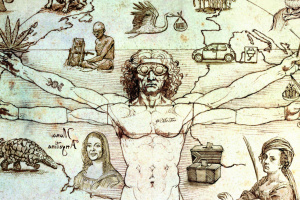 For example, by Jim Kay, one of the four illustrators whose work is featured in the exhibit. 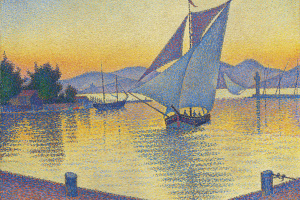 He is currently producing illustrated versions of each book in the series. 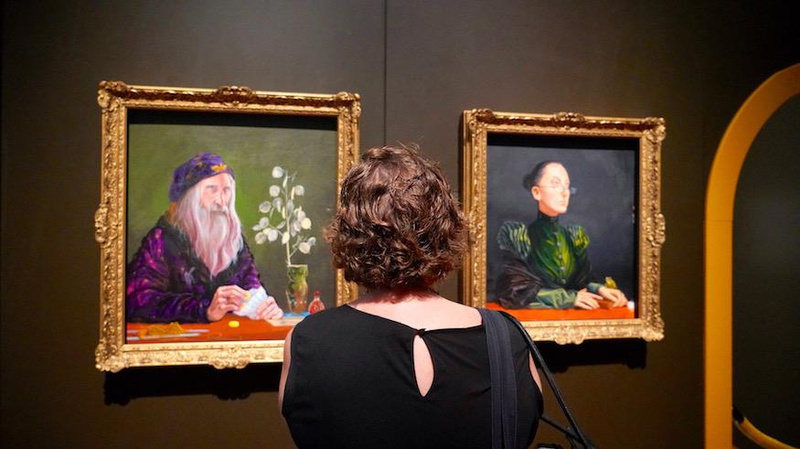 His painting of Severus Snape is full of subtle references to his character, such as a mole in a bottle, because Snape was Dumbledore’s spy, and lilies of the valley, representing his undying love for Harry’s mother, Lily Potter. 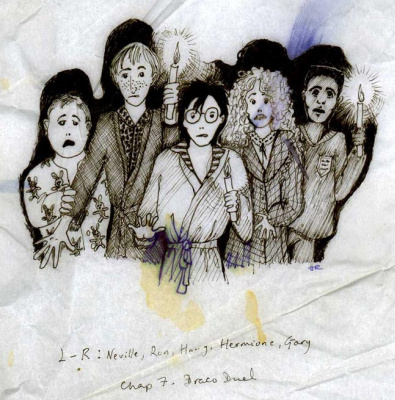 One of J.K. Rowling’s original illustrations for Harry Potter and the Sorcerer’s Stone. 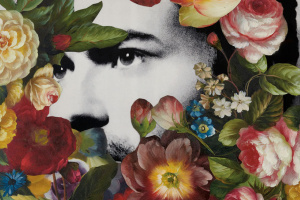 The character Gary was renamed Dean Thomas in the final publication. Courtesy of J.K. Rowling. 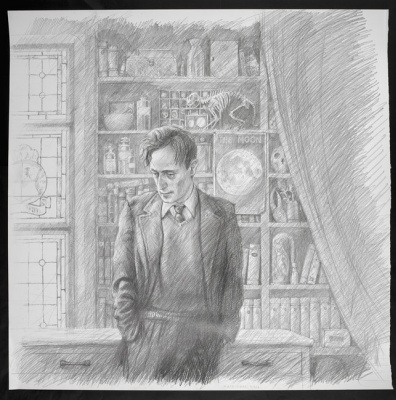 Jim Kay, Portrait of Professor Remus Lupin. Courtesy of Bloomsbury Publishing Plc. International editions of Harry Potter and the Sorcerer’s Stone in "Harry Potter: A History of Magic." Photo by Sarah Cascone. 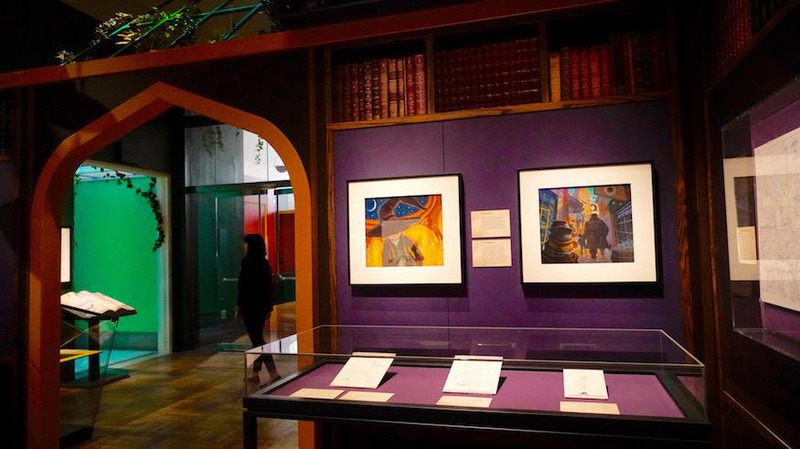 Additions to the exhibition since its London iteration include original illustrations by several of the artists who have illustrated the Harry Potter books over the years, including Mary GrandPré, 15th-anniversary art by Kazu Kibuishi and the 20th-anniversary edition by Brian Selznick. 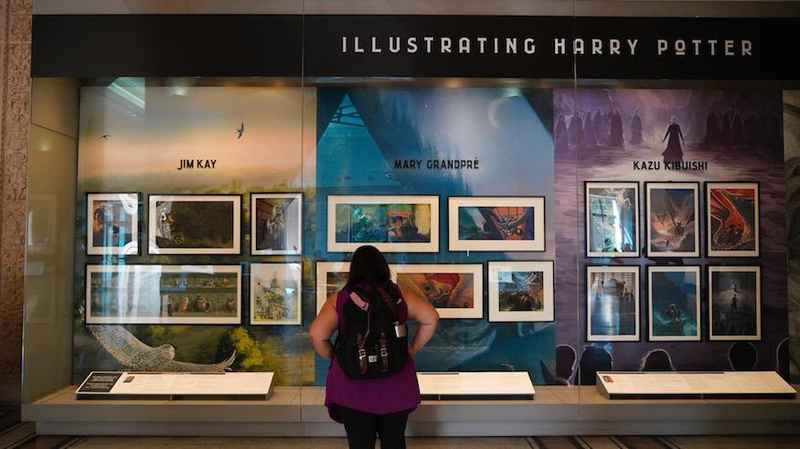 It’s especially exciting to see on display to the public for the first time the original pastel drawings that Mary GrandPré made for the first American edition of the book, designs that came to largely define the public image of Harry before the films' release. 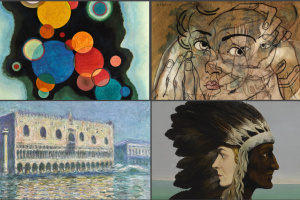 Her instantly recognizable style can also be seen in artworks produced for a cancelled 2001 Harry Potter calendar that have never been shown before. 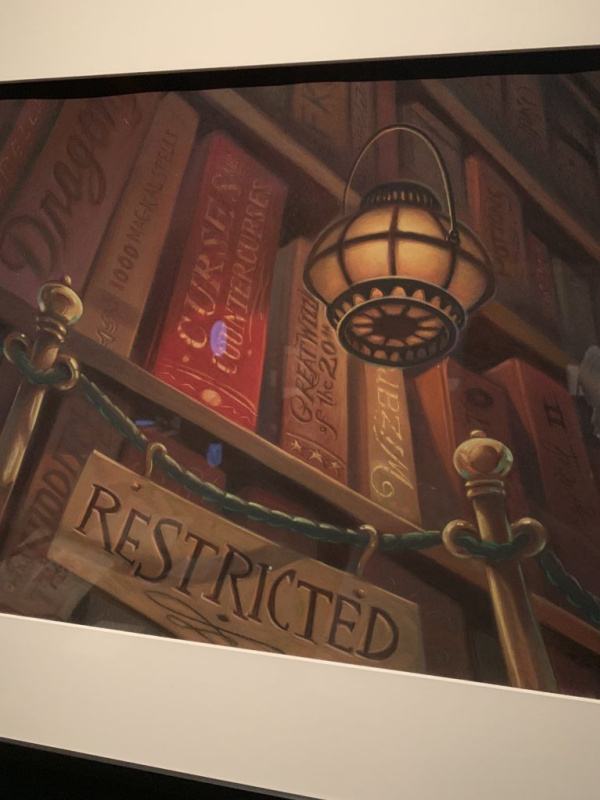 Mary GrandPré’s drawing of the restricted section of the library in “Harry Potter: A History of Magic.” Photo by Sarah Cascone. Mary GrandPré, Jacket art for Harry Potter and the Deathly Hallows, the seventh and final book in the original series (2007). Courtesy of Warner Bros Corporate Archive. 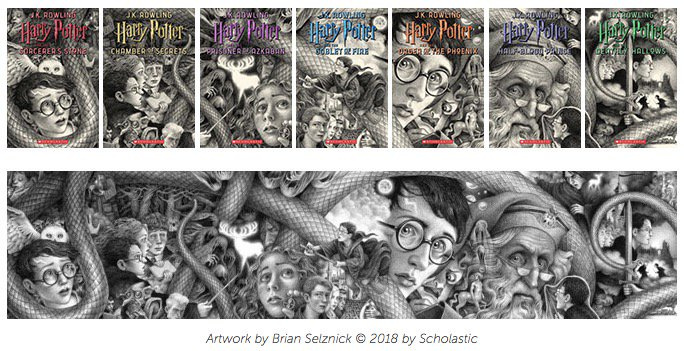 The illustrator Brian Selznick created art cover for the 20th anniversary edition of the Harry Potter series, published by Scholastic in June 2018. 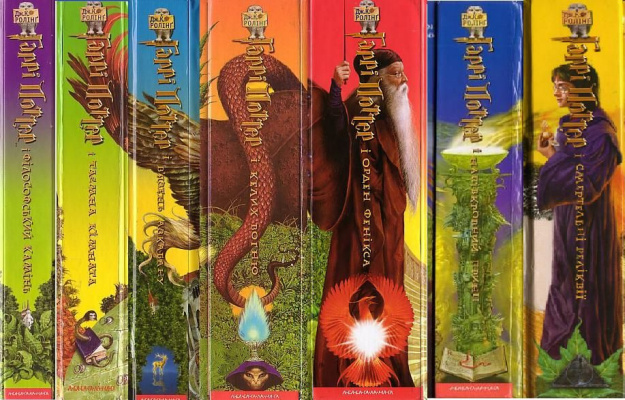 The covers are hugely detailed, containing references to all seven stories inside the covers — dragon eggs, Patronuses, the full moon, brooms, Umbridge, Dementors, Hermione’s Time-Turner, the Triwizard maze, sections of Hogwarts. The brand new cover art for for the books of Harry Potter by Brian Selznick, 2018. 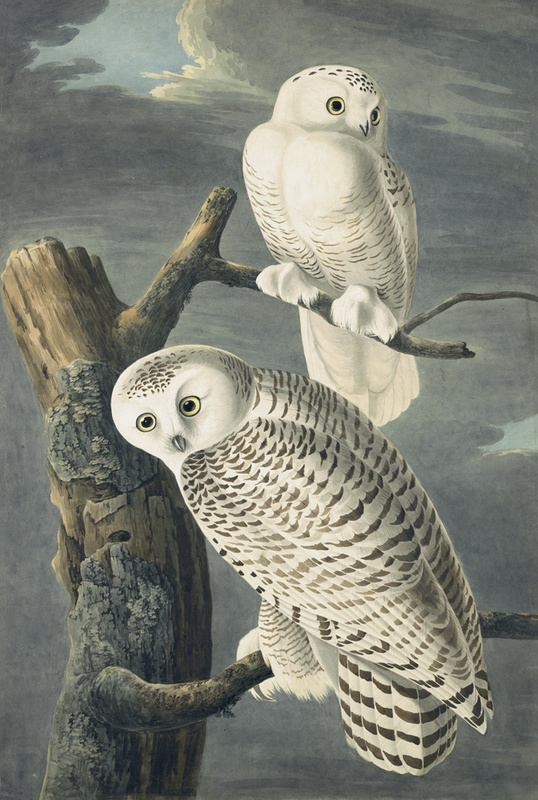 John James Audubon, Snowy Owl (Bubo Scandiacus) (1829). 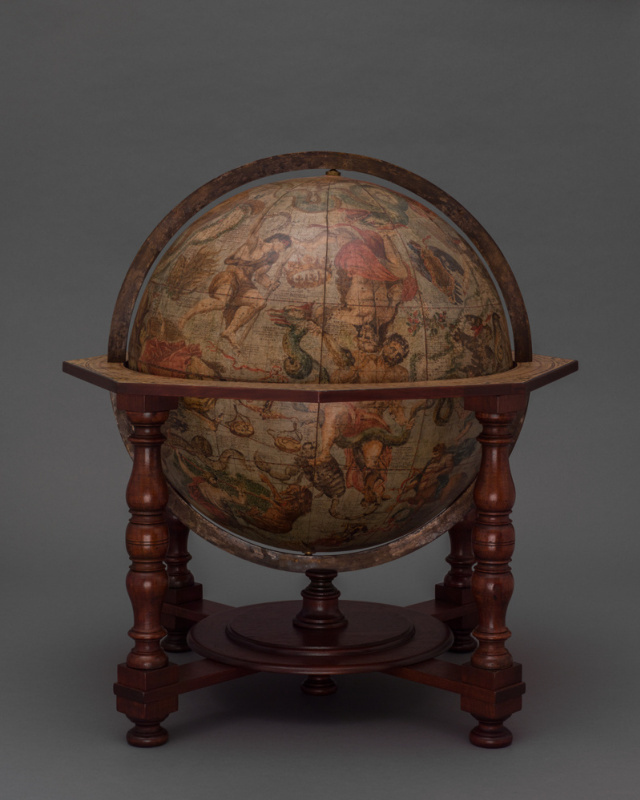 Photo courtesy of the New-York Historical Society. The Ukrainian illustrator Vladislav Erko also created book covers of the Harry Potter book series that considered to be among the best in the world. Despite the fact that the illustrator had never read one of Harry Potter’s series book and draw on the subscript, he managed to very realistically convey the content through the drawings. 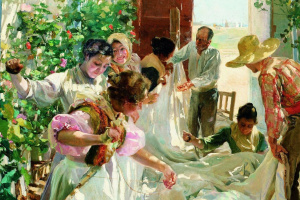 Joanne Rolling liked his work, expressing her praise. Art covers of the books "Harry Potter and The Philosopher's Stone", "Harry Potter and the Deathly Hallows". 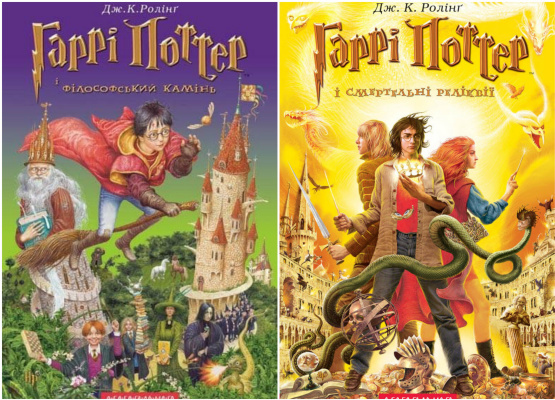 Book's covers from "Harry Potter and the Philosopher's Stone" to "Harry Potter and the Deathly Hallows" by Vladislav Erko. 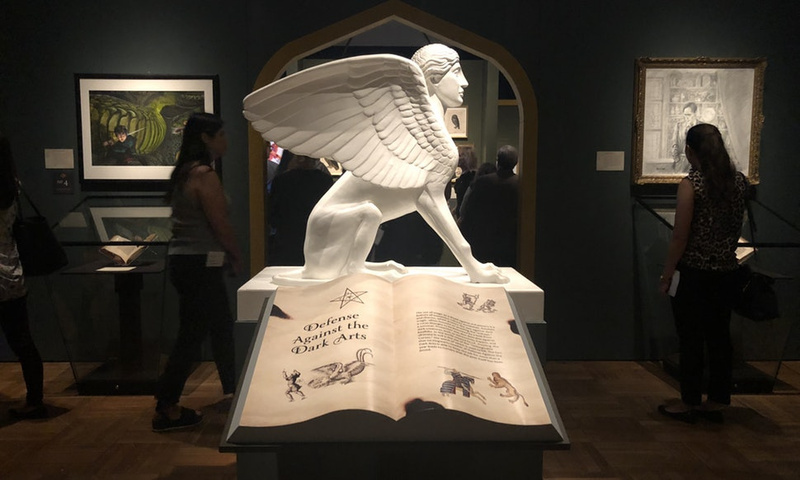 Illustrations by Mary GrandPré, Brian Selznick and Kazu Kibuishi at "Harry Potter: A History of Magic" show in New York Historical Society, 2018. What else can you expect visiting this incredible show? You can approve that Nicolas Flamel was a real person. 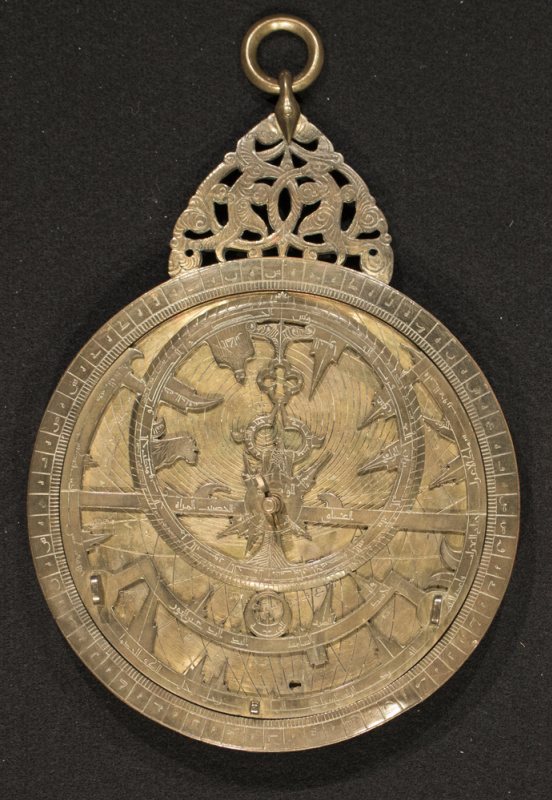 He was the alchemist who, according to the lore of Rowling’s novel, made the Philosopher’s Stone. 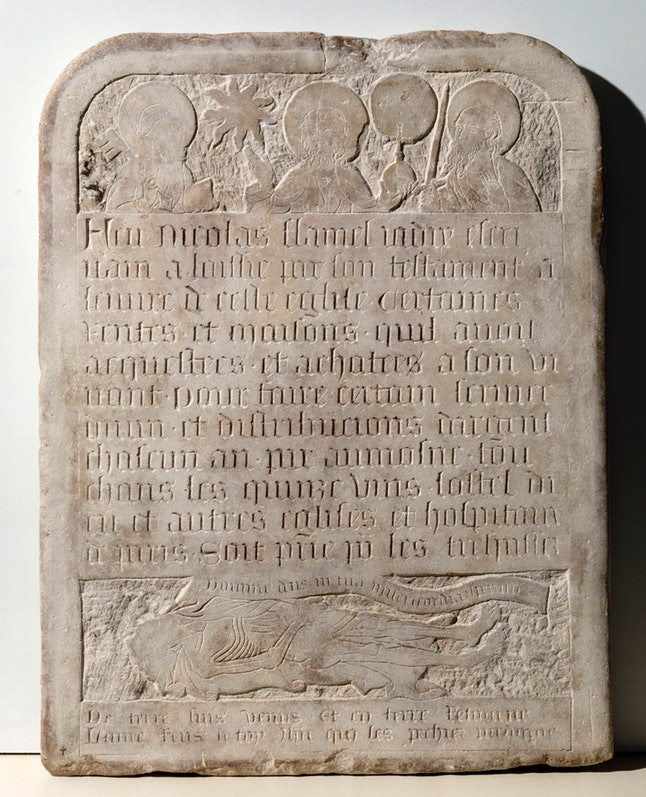 Probably everybody heard of Nicolas Flamel but not everyone knew that Nicolas Flamel was a very real human being who made a fortune as a landlord in medieval Paris. 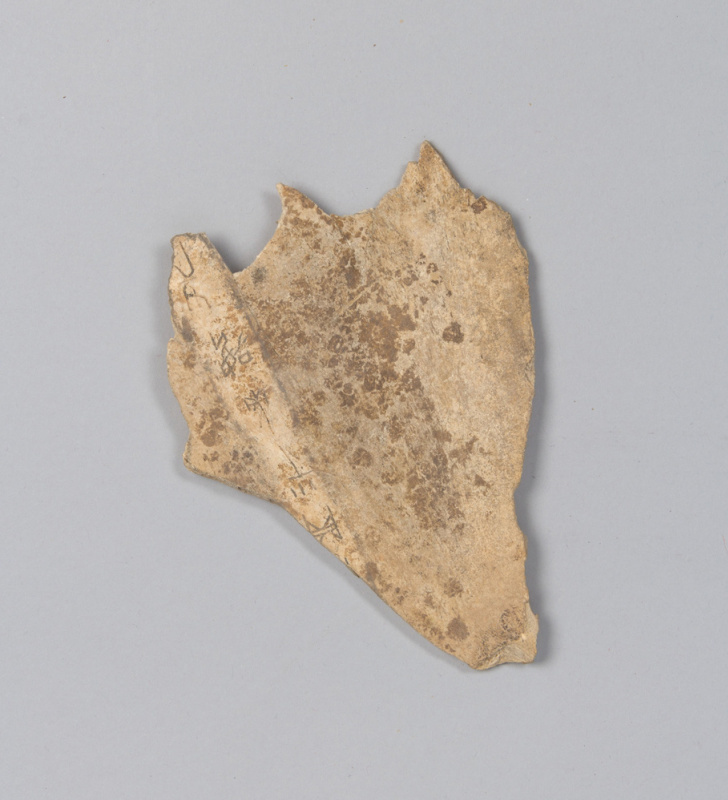 After his death in 1418, rumors spread that he had discovered the Philosopher’s Stone. 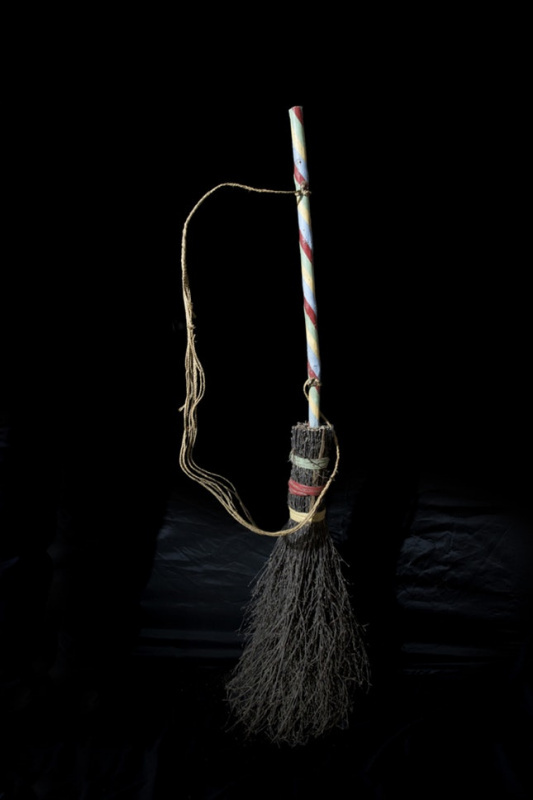 And the broomstick, featured in the exhibit, was owned by 20th-century witch Olga Hunt of Manaton, Devon. According to legend, she used to fly around Dartmoor on the nights with full moons. A true icon. 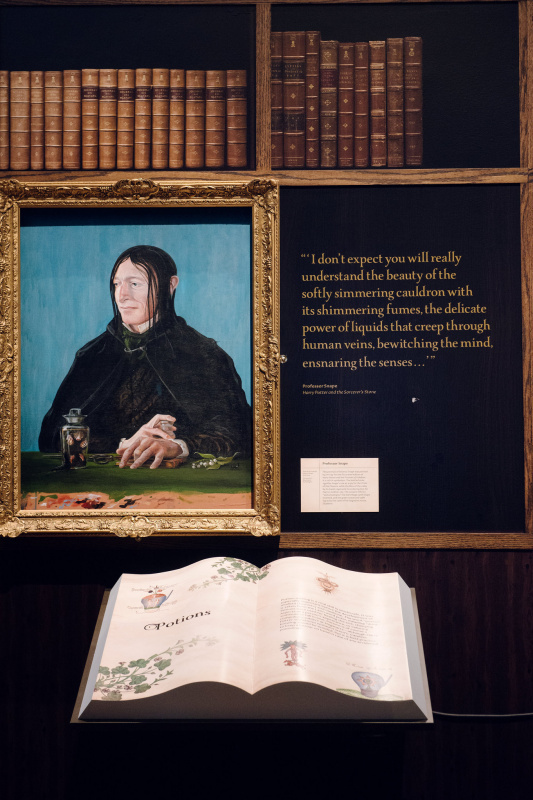 You’ll see a 15th-century drawing of the supposedly fatal mandrake plant, whose roots take the form of tiny humans—one of the plants Harry and his classmates must tend in their classes with Professor Sprout, a copy of 17th-century text on medicinal herbs that Rowling referenced when coming up with the books' potions and magical plants. 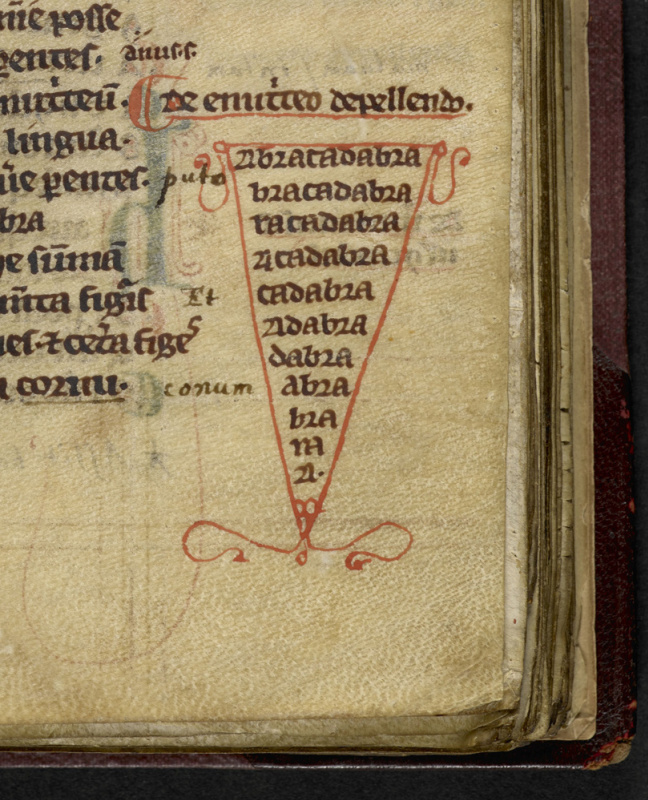 Among other highlights is the first-known printed use of the word Abracadabra, in a 13th-century charm for curing malaria. 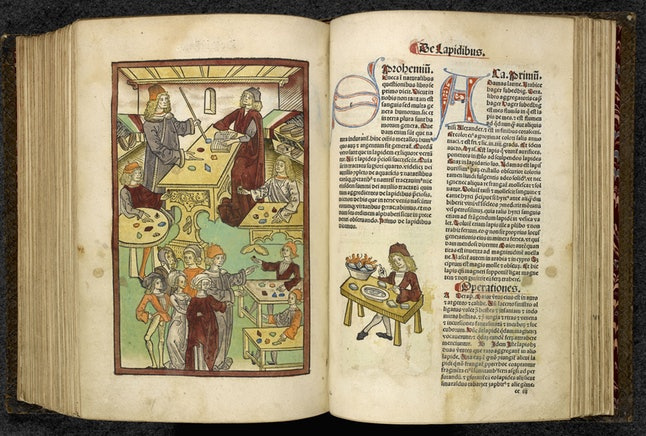 Giovanni Cadamosto’s illustrated herbal (Italy or Germany, circa 15th century). 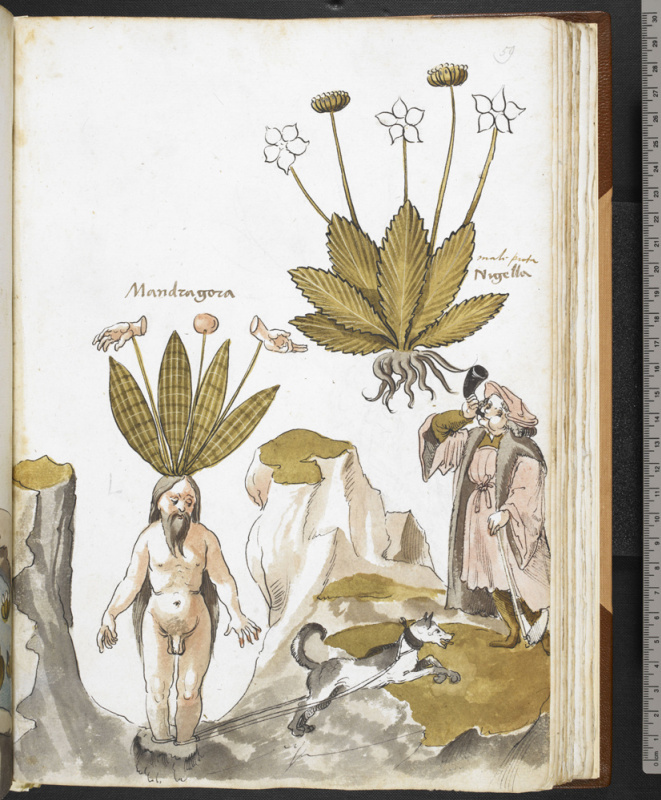 This drawing depicts the mandrake, a plant that was thought to cure various diseases if the doctor could avoid hearing the shrieks from its roots. 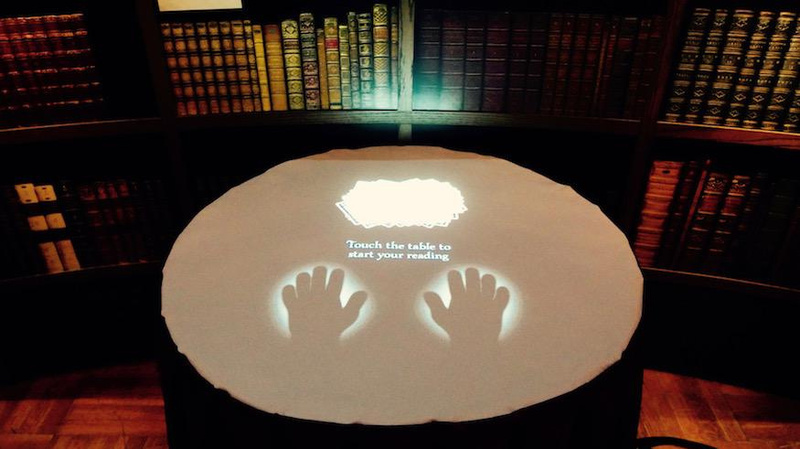 ©British Library Board. 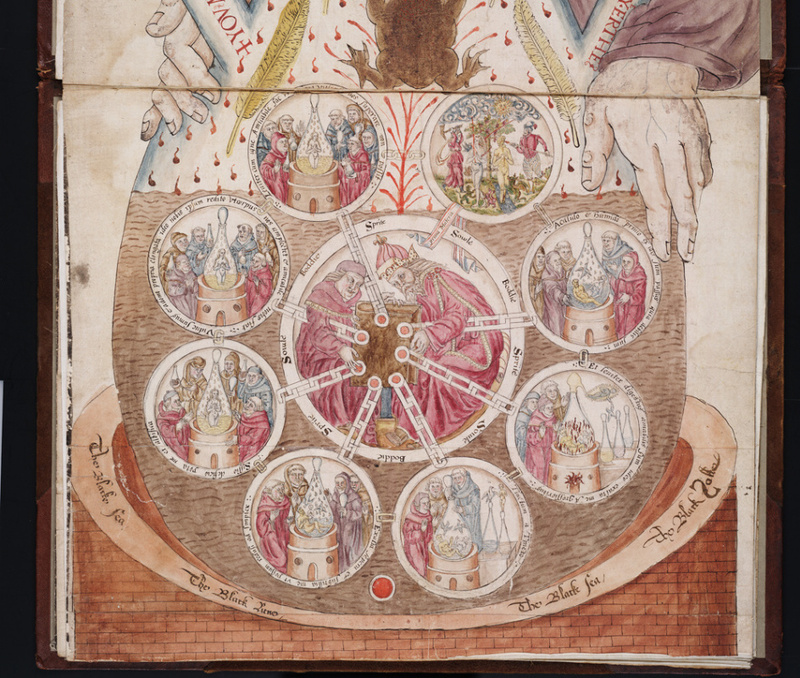 Here you can see a detail of The Ripley Scroll, an alchemical manuscript, created in 1570 by George Ripley, the author of The Compound of Alchemy. 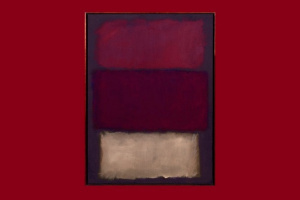 It describes how The Philosopher’s stone can be made, but as "precise meanings of the alchemical icons are not fully understood," this is almost impossible. Bummer. 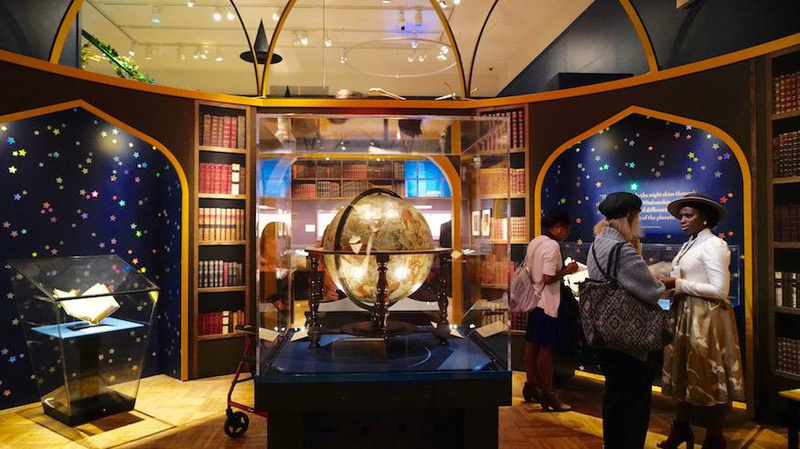 "It's hard to believe Harry Potter had been in our lives for 20 years, but magic has been in our lives for much longer," says Louise Mirrer, president and CEO of the New-York Historical Society. 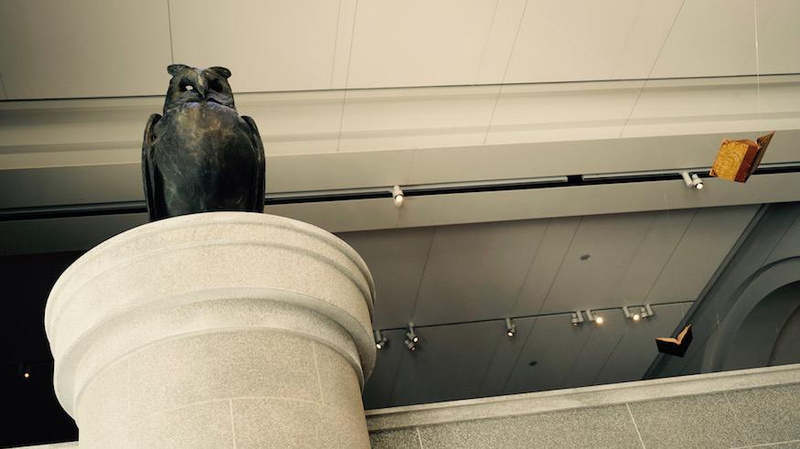 In addition to the exhibition itself, a varied entertainment program is planned for visitors — drawing lessons, excursions around the world of owls, communication with book illustrators. One of the interesting guests of the event will be actor Jim Dale, who recorded all seven audio books about Harry Potter, for which he had to work more than 200 character-voices. 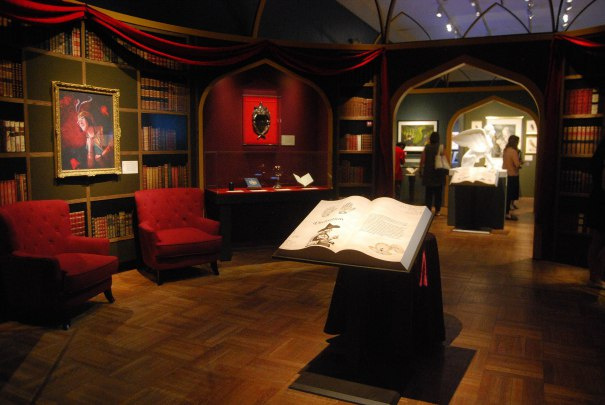 And at the end of the exhibition the experts will discuss the contribution of the Harry Potter books to modern literature and culture in general. 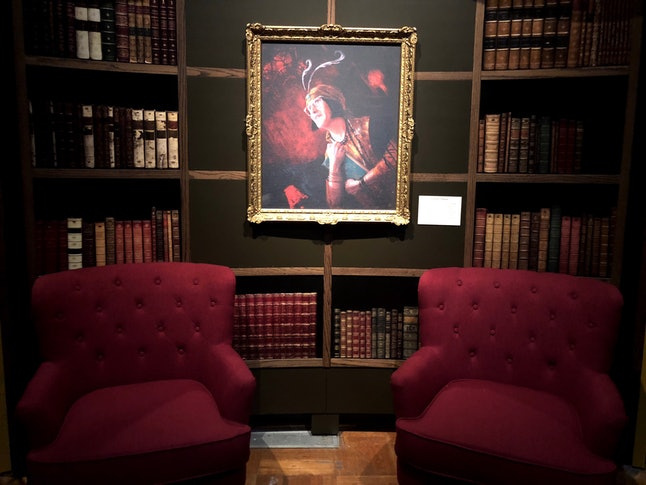 The exhibition will be open to January 27, 2019.
of the phoenix by Jim Kay. On loan from Bloomsbury Publishing. Background image is a detail from a Medieval Bestiary (England, 13th century). (c)Bloomsbury Publishing Plc 2016. 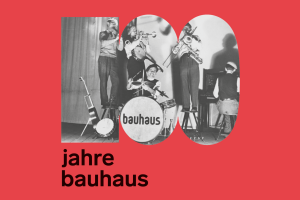 Original design by the British Library 2017.